Welcome back to my third and last instalment of my travels in Tanzania in March last year. I will take you to Uganda soon, but first let me share with you a few memories from the Easter weekend I spent on Zanzibar. 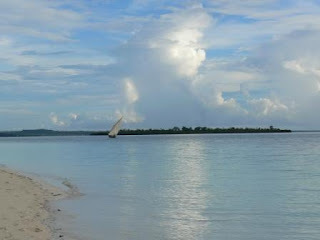 Zanzibar is an archipelgo of islands in the Indian Ocean and is a semi-autonomous region of the Republic of Tanzania. We had finished our week long training at the University of Dar es Salaam on the Friday and were telling the students that we would be running a 2 days revision course starting on the Monday, when we realised that all the students had a surprised/confused look on their faces. One of them finally raised their hand to let us know that nobody will be attending the course on Monday...it was a bank holiday! 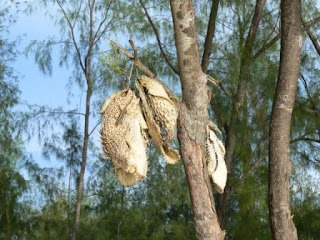 We had been so busy preparing the training course and teaching it that we had forgotten that it was Easter! We were actually quite pleased 1) to have been warned that nobody would turn up on Monday 2) to have 3 days off which meant we could take the 6am ferry to Ungunja (the biggest of the two islands forming Zanzibar) on Saturday morning and spent 2 nights on the island. 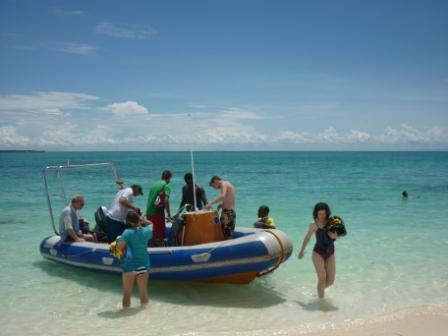 I had no idea what to expect from Zanzibar but my colleague who is a keen diver was desperate to do some scuba diving in the coral reefs. We phoned up a hotel on Friday night for a last minute booking and secured a bungalow on the beach. I was starting to get really excited about this weekend away! 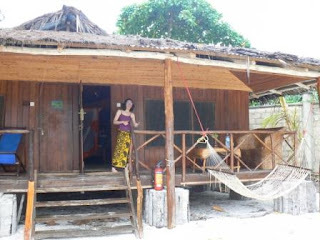 We spent 2 1/2 days on Kendwa beach, enjoying cocktails, getting massages in a little booth on the beach (the lady was so good we both went twice), swimming and reading. A perfect lazy weekend! The beach wasn't too busy at this time of year and there were not too many hustlers (which can often be a bit of an annoyance for lone females travelling in Africa) so I could enjoy some walks along the beach too. 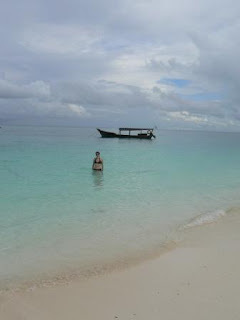 This would make a great honeymoon destination for a fraction of the price of the Seychelles! On the second day, we opted for a half day scuba diving trip in some nearby coral reef. I had never been scuba diving before and although I did not manage to go more than a couple of meters deep, it was a fantastic experience. No under water camera shots I'm afraid which is a shame as we saw so many different types of coral reef fishes and anemones. 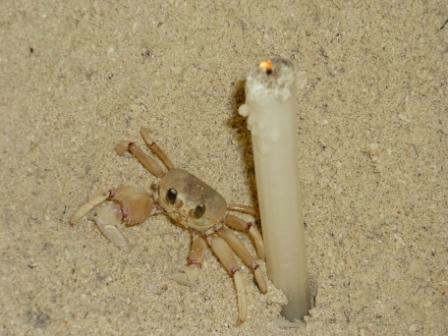 That evening, we joined some friends of a friend who came along to Zanzibar with us to have a beach barbecue. These people had been on a fishing trip that day and had come home with a big tuna and dorado which we thoroughly enjoyed for our dinner. I am not a fish person but that was delicious. 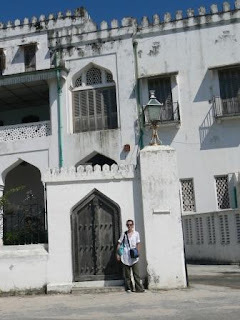 While waiting for the ferry to take us back to the mainland, we spent a few hours wandering around Stone Town, the old part of Zanzibar City. Unlike any other city I had seen in Africa, Stone Town's architecture dates back to the 19th century when Zanzibar was the flourishing centre of the spice trade as well as the slave trade. The name "Stone Town" comes from the ubiquitous use of coral stone as the main construction material. 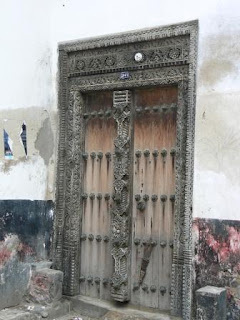 The town's old buildings reflect the diverse influences sweeping through this old international port and giving rise to a unique mix of Swahili , Moorish, Persian, Indian and European elements. 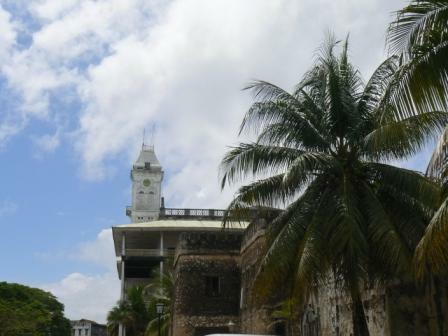 Several historical buildings from the time the island was controlled by the Sultanate of Oman are still visible The House of Wonders is the largest and tallest building of Stone Town and occupies a prominent place on the old town's seafront. 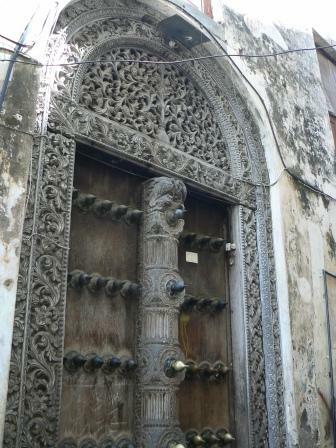 It is one of six palaces built by the second Sultan of Zanzibar. 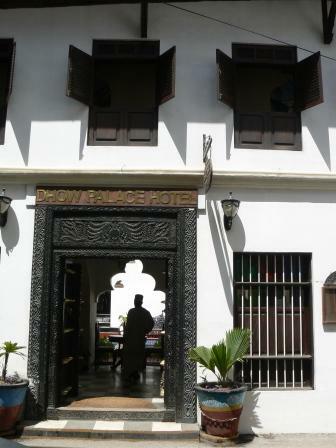 The Old Fort , adjacent to the House of Wonders, is a heavy stone fortress that was built in the 17th century by the Omani. 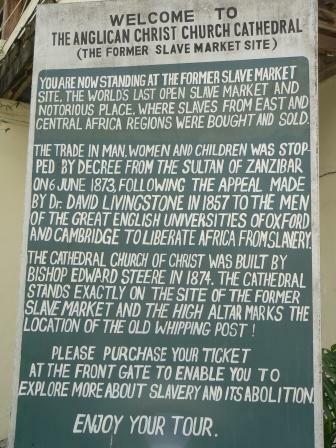 The Anglican cathedral of Christ Church was built at the end of the 19th century in an area in the centre of Stone Town that previously hosted the biggest slave market of Zanzibar. 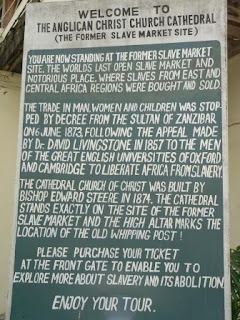 The place was deliberately chosen to celebrate the end of slavery, and the altar was located in the exact spot where the main whipping post of the market used to be. You can also see the house in which Freddy Mercury's was born and spent his childhood! 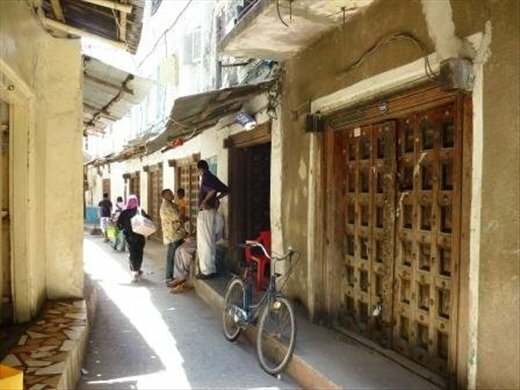 We had a nice time walking around the maze of tiny streets making up the old town and being sheltered from the blazing sun. The time for our departure back to the mainland was fast approaching, and before leaving this little jewel of an island behind, we stopped in one of Zanzaibar's most celebrated coffee houses for a drink and to stock up on coffee to bring back home. 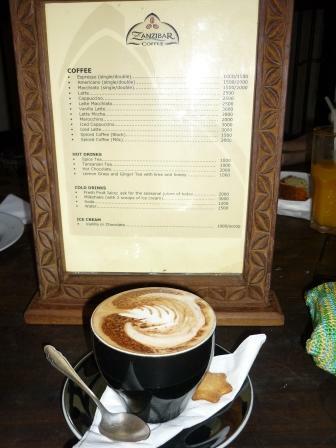 To say that I love coffee is an understatement (it is to me as much of a basic vital necessity as air, water or chocolate) and that last drink on ths island was ever so perfect! If you ever find yourself in Tanzania, I can only recommend that you take a boat or a plane to spend a few days in Zanzibar. 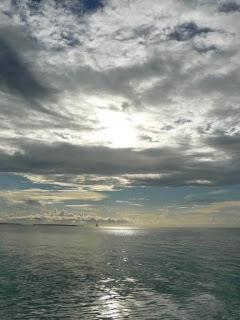 I wish we had spent more time in the Old Town and I would happily go back for a week and travel around the islands to discover other beaches/reefs and trek through the last remaining forests. That's it for my Tanzanian adventures, I hope you enjoyed that trip down memory lane with me. 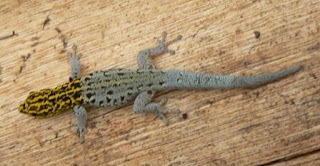 Next, we will fly to Kampala, the capital of Uganda where I will take you water rafting on the Nile.